Student Ambassadors play an important role in the student community, spreading the word about the University of Gloucestershire at Open Days, Applicant Days, School Visits – as well as representing the University at Higher Education Fairs. This exciting position not only builds confidence, experience and employability skills, but it allows you to earn money whilst you study. 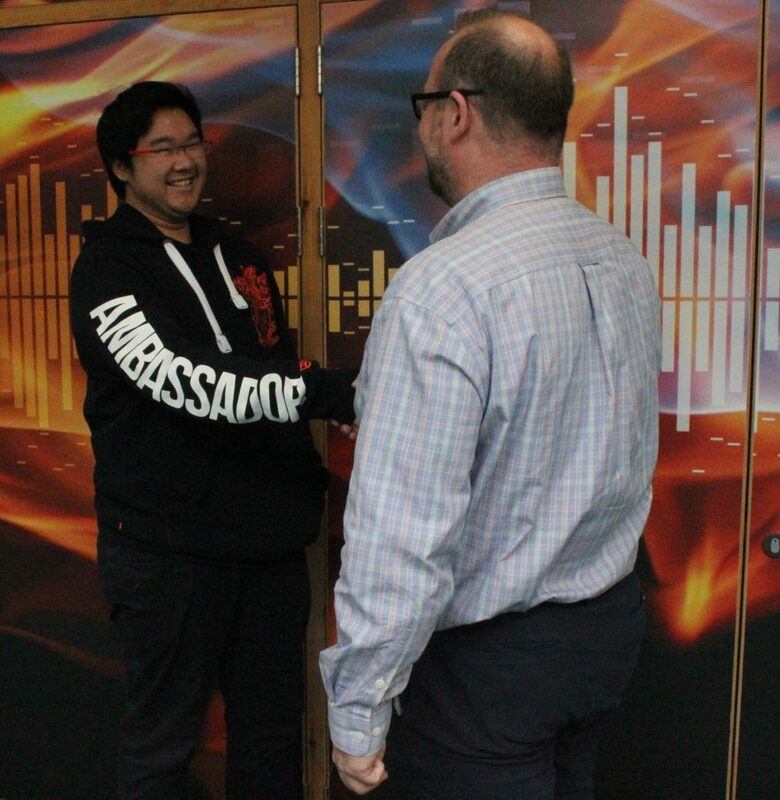 Ranggada, an INTO University of Gloucestershire alumni from Indonesia, studied a Foundation in Art, Design and Media before progressing to the University of Gloucestershire to study BA (Hons) Digital Marketing – and he’s also a proud Student Ambassador. We caught up with Ranggada to find out more about his important role. Ranggada (left) greeting a University of Gloucestershire visitor. Congratulations on becoming a University of Gloucestershire Student Ambassador! What attracted you to apply for this role? At first it was the pay, but as I read the job description and saw what it had to offer, I realised that this was the perfect job for me! I had friends who were Student Ambassadors and they told me that the job was one of the best decisions that they had ever made. This is my first job and I am very glad I took it. How did you become a Student Ambassador? During my foundation year, I often saw students from the University wearing Ambassador hoodies and I wondered who they were. I attended the Fresher’s Fayre, where I spoke to a representative who told me all about being a Student Ambassador and how to apply. I was able to apply through the Future Plan portal. Can you tell us more about the role of Student Ambassador? As Ambassadors, we focus on educating students, whether they are undergraduate or postgraduate; local or international. As part of my role, I take potential students on tours around the University of Gloucestershire and show them the facilities. I also help new students on arrivals week, showing them to their halls of residence and taking them on orientations around Cheltenham. I also meet and greet groups of people who are visiting the University of Gloucestershire. 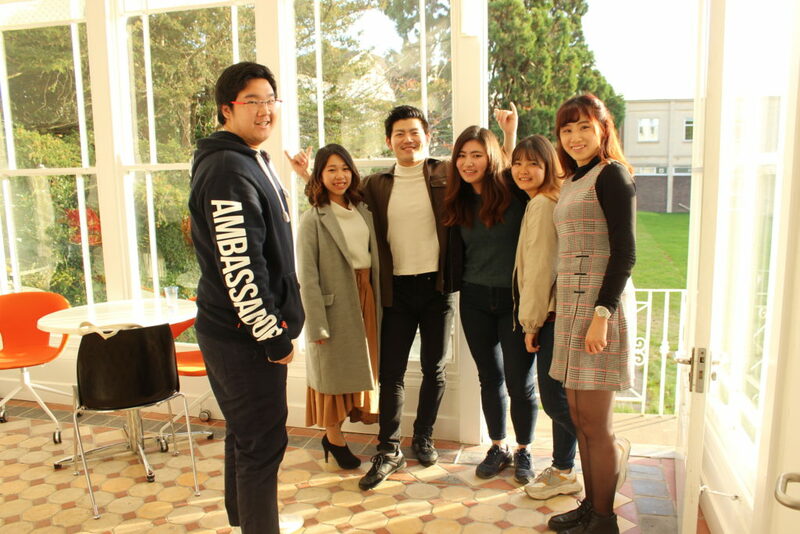 Being an international student means that I am often involved with the international groups, such as high school students from Japan and Malaysia. Ranggada (left) meeting with students. I am an outreach Ambassador, so I represent the University at higher education and careers fairs as well as visiting colleges. What skills are you learning as a Student Ambassador? Communication is the most essential skill for a Student Ambassador because you are always talking to people and promoting the University of Gloucestershire. Before I became an Ambassador, I was an introvert and very quiet – I did not talk to many people. Now, I talk to people more easily! This is because I work on Open Days where group tours can be from 4 people up to 30 people at least three times during the day! This has helped with my presentation skills because I can talk to large groups of people more easily. Ranggada (left) talking to students. The role has also helped me to improve my organisation skills because I have to plan campus tours and make sure I do not go backwards on my route! What do you enjoy most about being a Student Ambassador? I have made many new friends. There is a good recruitment process for this role, so you can be sure that everyone who is selected as a Student Ambassador will be just as friendly, open minded, kind and cheerful as you would expect them to be. It does not feel like ‘just another Open Day’- I am always eager to meet the kind and happy people that I will be working with. If you get the role of Ambassador and you are still quite shy, I promise that another member of the team will say ‘hi’ to you, and soon you will be conversing with them! What would you say to a progressing INTO University of Gloucestershire student who is thinking about becoming a Student Ambassador? 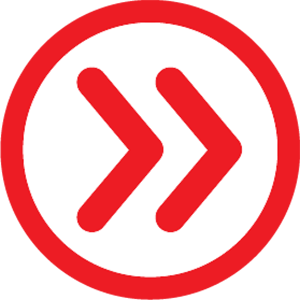 “Seek discomfort” – what difference would you make if you stayed on the same path your entire life? What stories will you tell your family, your friends back home, and your future employer? Seek discomfort and find that new doors will always open one after the other! Go for it! After all, you have nothing to lose, but lots to gain: new experiences, new friends and the best time of your university life – I guarantee you! You may also like to read about Apisit’s experience of leaving his home country of Thailand to start his student life at INTO University of Gloucestershire.